The Budweiser Clydesdales at the State Fair of Texas! You've probably seen the Budweiser Clydesdales in Super Bowl commercials. They were first introduced in 1933 to celebrate the repeal of Prohibition and travel the country to fairs, parades and other events. They are part of the Anheuser Busch family, the family behind great American beers like Budlight, Budweiser, Shock Top and Landshark Lager, among many others. What are the Clydesdales like? They truly are majestic gentle giants. To be part of the hitch team, horses have to be at least four years old, stand six feet tall and weigh between 1,800 to 2,300 lbs. To keep their grand stature, the Clydesdales eat as much as 25 quarts of whole grains and 60 pounds of hay per day. 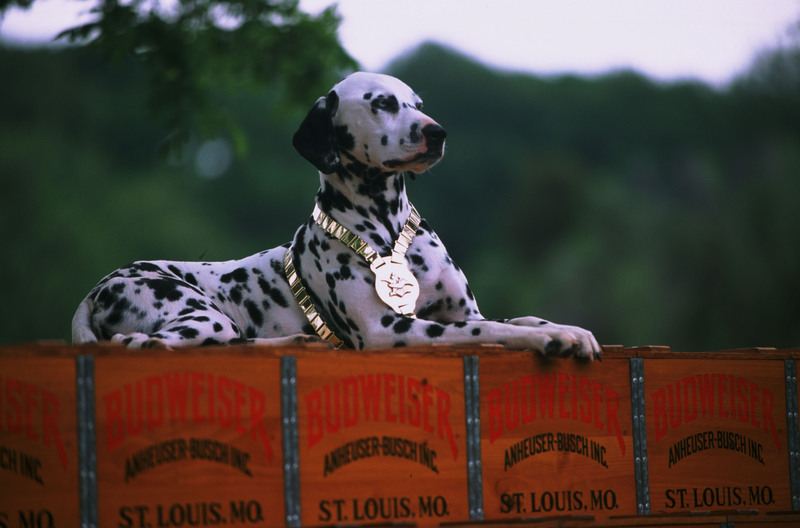 When they are not on the road, they can be seen at the Anheuser-Busch breweries in Missouri, New Hampshire and Colorado. So they'll be at the State Fair of Texas this year. What can I experience there? You can see the horses up close – really close! Clydedales experts will be available for questions and will also be demonstrating how the horses get hitched to their signature red wagon. You'll even get to meet Clyde, the Clydesdales' Dalmatian mascot! Clyde the Dalmatian, the Clydesdales' mascot, will also be at the State Fair.